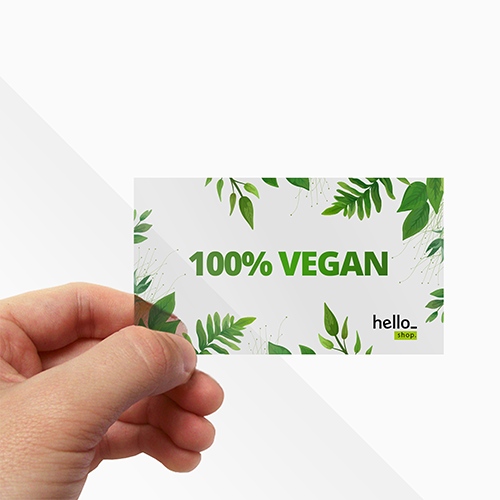 With labels from Helloprint, you easilly extend the reach of your promotional campaigns! 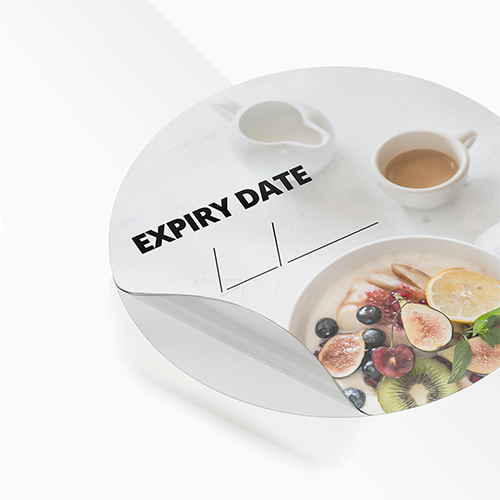 Stick your name and logo all over town or label your products with special offers. We offer the most affordable labels in The UK! Note: White cannot be printed on transparent stickers. White will be transparent instead. For "Glossy" and "Writable" stickers, this is not an issue. "Outdoor" refers to the water resistant material. The possible fading of colors depends on light effects (sun, mirrors, reflectors, lamps). Therefore, we do not make a statement about the durability of the print. 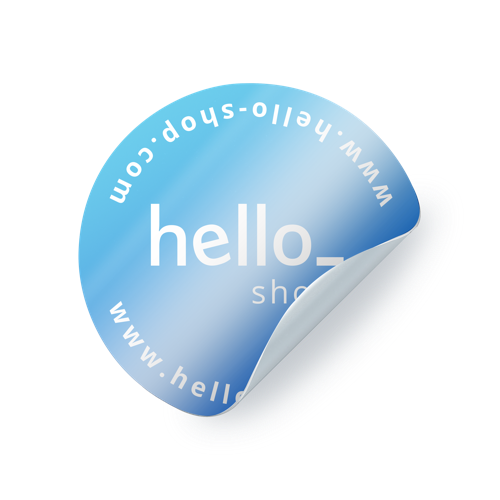 Transparent stickers are perfect for window advertising in shops or cars. Suitable for both indoor and outdoor advertising. NOTE: We cannot print in white on transparent stickers! White in your design will become transparent. "Outdoor" refers to the water resistant material. The possible blurring of colors depends on light effects (sun, mirrors, reflectors, lamps). Therefore, we do not make a statement about the durability of the print. Colors printed on transparant stickers are always semi transparent (not 100% solid). 73 gsm stickers are perfectly writable and can also be stamped. The stickers have a matt look and can be used for many purposes! Labels are one of our most sold products and are very populair as promotion material. A sticker is comparable to a flyer, the difference is that you can stick it on almost any surface by removing the back part. For the delivery of your labels we use multiple carriers. Because of the highest reliability, in most cases we use UPS or DPD. The labels that is chosen in most cases can be selected via our website. Are labels fit for usage outside? Not all types of labels can be used outside. Note that the lifetime of stickers is affected when used outside. Stickers indoor last longer than stickers outdoor. If you would like to use your stickers outside, we recommend using 90gsm PVC or transparent stickers. All other materials are meant to be used inside. Glossy stickers (90 gsm): These durable 90gsm glossy stickers are weather proof and can easilly be removed. Perfect for both indoor and outdoor promotions! Transparant Stickers (90gsm): Transparant stickers are perfect for window advertising in shops or cars. Suitable for both indoor and outdoor advertising. NOTE: We cannot print in white on transparent stickers! 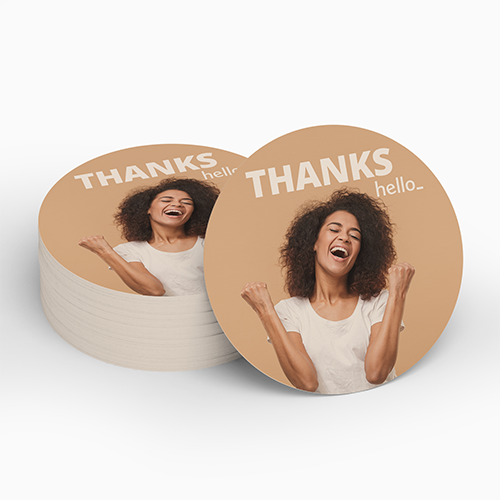 Paper stickers 80 gsm: 80 gsm stickers stickers with a shiny look and can be used for indoor purposes! 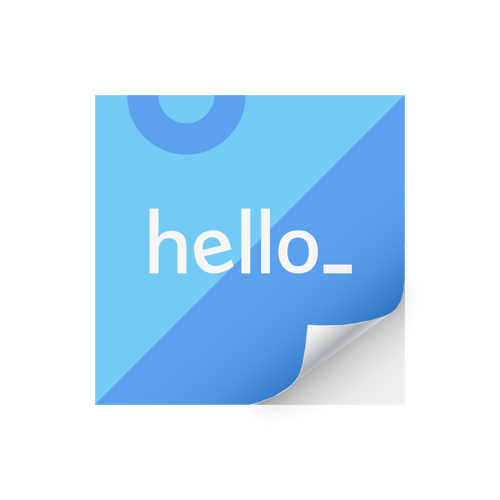 Writable stickers (73gsm): 73 gsm stickers are perfectly writable and can also be stamped. The stickers have a matt look and can be used for many purposes! Can transparent stickers be printed with a white design? No, transparent stickers can not be printed with a white design. All white parts in the design will be transparent within the design.